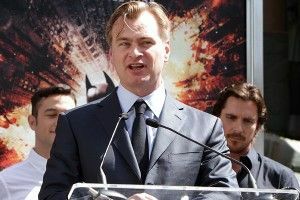 After he wrapped up his game-changing Dark Knight trilogy in atomic fashion, you wouldn’t have blamed Christopher Nolan if he’d decided to dip out anonymously to Florence — maybe enjoy an espresso and a couple of biscotti in a charming Arno-side cafe before getting back on the grind. But dude’s got business to take care of! With Man of Steel, the high-profile Superman reboot he’s producing, already on the docket, Nolan has signed up for his next directorial outing. And, surprise! — it was written by his brother Jonathan. Teaming up for the fifth time with his little bro (previous: Memento, The Prestige, the last two Batman flicks), Nolan will direct Interstellar, a sci-fi project that, according to THR, “involves time travel and alternate dimensions in a story that sees a group of explorers travel through a wormhole. The script is based on scientific theories developed by a Kip Thorne, a theoretical physicist, a gravitational physicist and astrophysicist at Caltech.” Movieline looked into the work of this Kip Thorne fellow, and found a super-smart guy that’s totally into movie geek stuff like wormholes and blackholes. According to Thorne, however, “if any highly advanced civilization attempts to make a time machine for backward time travel, quantum effects will cause the time machine to begin to self-destruct explosively at the moment you activate it.” And yet, somewhere in there, Jonathan found some grist for a major motion picture. So, in conclusion: Nolan has a new awesome sounding sci-fi flick that more or less brings to mind Inception (bwaaaang); Spielberg’s unemployed. OK, now feel free to go about your day.